My take: Lucien Marvaine has returned to England to assume the title Earl of Roxbury. His father and older brother died while he was away and he’s next in line. He’s also being pressured to marry and produce an heir. Katherine is a widow and beginning to go out in society again. She intends to never marry again. Rather, she will raise her baby daughter and is thinking seriously of becoming a lady’s companion to her sister-in-law. Well, that was her plan. She didn’t expect her life-long friend Lucien to reappear after his abrupt departure following her marriage. Can these two fall back into their comfortable friendship or will it become more? As they try to convince the other to court various people will they figure out they belong together? There’s also another glimpse of a shooting at the Kingsborough Ball that has been featured from different characters’ perspectives in each of the three books in the series. In fact, the mystery of who the shooter is and why the shot has been taken is cleared up in this book. That added drama to the story. If you enjoy a historical romance trilogy you’ll want to give the books of At the Kingsborough Ball a try. They are light and quick reads. I would recommend reading them in order. Glad you are enjoying this series. I’m not familiar with this series, but it sounds delightful. Good to know that it should be read in order. 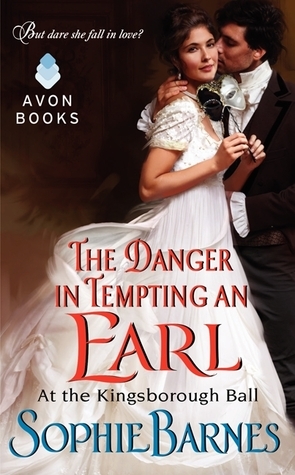 This sounds like a sweet historical romance, plus the ballroom shooting mystery has me curious.